Despite having crafted a rule that defunds Planned Parenthood, all is not pro-life in the Trump Administration. 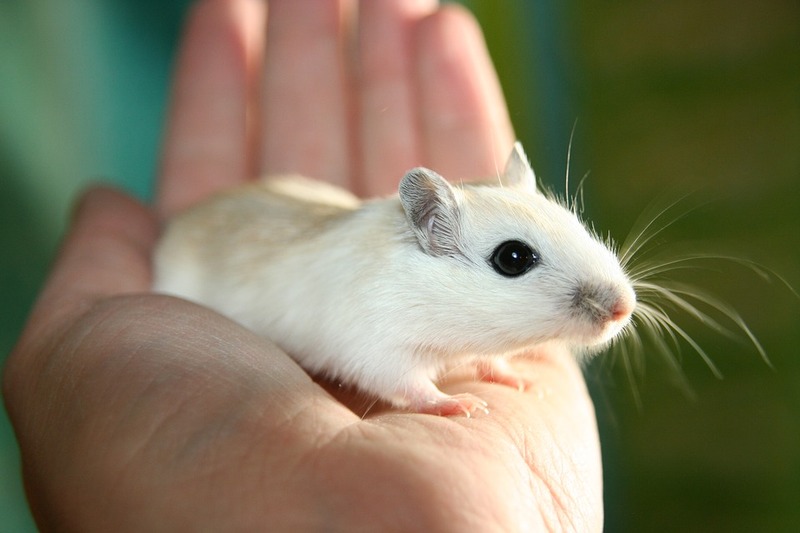 The Health and Human Services Department has not just overlooked but endorsed a funding extension (the second one) for experiments to create humanized mice. The experiments require human body parts–parts harvested from babies aborted late-term. CNSNews reports that the experimentation at the University of California at San Francisco “creates a demand–driven by federal tax dollars–for tissue taken from late-term aborted babies. According to an estimate it has published on its website, the National Institutes of Health (which is a division of HHS) will spend $95 million this fiscal year alone on research that–like UCSF’s ‘humanized mouse’ contract–uses human fetal tissue. Whereupon, we must ask whether HHS will grant yet another extension. Allowing this atrocity to continue gives a sense of schizophrenia to the Trump Administration–who, on one hand, are calling out Democrats for supporting abortion until birth–and infanticide after birth–and on the other hand–approving this practice. The President calls late-term abortion execution. So why are we executing late-term unborn children in the name of science? There can be no abortion that redeems itself in research–for the good of someone else. To take one life in the hope (and it is a mere hope) of saving someone else is the stuff of bad science fiction, the stuff of dehumanizing oppression of the worst kind. The Trump Administration–America itself–must decide whether good or evil will be the nature of our land. Will we be a nation where all people are created equal with rights? Or will we be a horrid shadow of nations who’ve used the weak to fortify the strong? We must decide. And history will forever note that decision. This line got me: “There can be no abortion that redeems itself in research–for the good of someone else. To take one life in the hope (and it is a mere hope) of saving someone else is the stuff of bad science fiction, the stuff of dehumanizing oppression of the worst kind.” Very true, Nancy. Thank you, Jessica. God bless! You said, “The President calls late-term abortion execution.” Until we are a nation that understands that all abortion is execution, I see little hope of anything changing. Regeneration of souls is called for to make the necessary changes in our laws. Too may in the Church are asleep as we quietly kill babies for convenience or research. And we can’t see what it will take to wake us up, Beth. Thanks and God bless! So far from God’s directives…makes me ill! We need God in great big ways here! May our nation turn back to Him! Amen, Julie. That is the solution. The only solution. Thanks and God bless! That certainly is confusing, especially for people who might be on the fence about what they believe in regards to this topic. It’s hard to not support research. But to use people in research means you value one life differently from that of another. And that leads us only downhill. Thanks, Emily, and God bless! This is really a terrible atrocity. We must stand up for the babies and find a way to stop it. You’d think an election would solve it. But that’s never how it works. It must come from a grassroots effort to change hearts and minds. Thanks, Yvonne, and God bless! There are times, Nancy, when I read things like this and wonder… how long, oh Lord? There is SO much going on in our culture today, from battles over what it means to be male & female, to stewardship of resources to the sanctity of life issues in the womb and among the elderly who are no longer considered “useful.” Oh my… these days are full of challenges that I didn’t see coming. So, on my knees I must remain. Amen, Lisa. And the darker our days become, the brighter our light shines. Thanks and God bless! The more this topic is discussed, the more I learn. Thank you for sharing the info. It’s just confounding what is happening. I can’t wrap my head around it. Thank you for your diligence as always. Thank you, Stephanie, for reading and commenting. It certainly is confounding. God bless! Yes! The words, “There can be no abortion that redeems itself in research–for the good of someone else, ” resonated with me. Prayers that God will remove the blinders from our nation’s eyes concerning this.Blessings, Nancy! This is beyond sad. It shows how depraved this country has become. This world is not my final home, but we want to help society while we are still here. I’m glad you’re speaking out. Thank you, Anneliese. God bless! No abortion redeems itself – so very true! This crazy mismatching of viewpoints by the Trump administration shows a tragic inability to discern some of the ramifications of late-term abortions. This is like reading a horrifying science fiction novel, which is actually being lived out in our own country. Thank you for exposing these horrific truths. Thank you, Melinda. Aldous Huxley wasn’t a believer, but his writing was very prophetic. God bless us and preserve us. Tears in my eyes. When will it stop. Oh Lord, please hear our cries. Thank you for continuing to raise awareness, Nancy. It seems whenever we think maybe this stronghold is being torn down, we find there is some other related evil lurking behind sight. Just like this. Praying for the Lord to intervene. Thank you for the prayers, Melissa! God bless! Nancy, thank you for keeping us informed of the real “news” and information surrounding abortion. Thank you, Karen! God bless! Previous PostPrevious You’re Invited to a Book Launch Party!